If you have not already checked out our Diagon Alley experiences, check them out here. 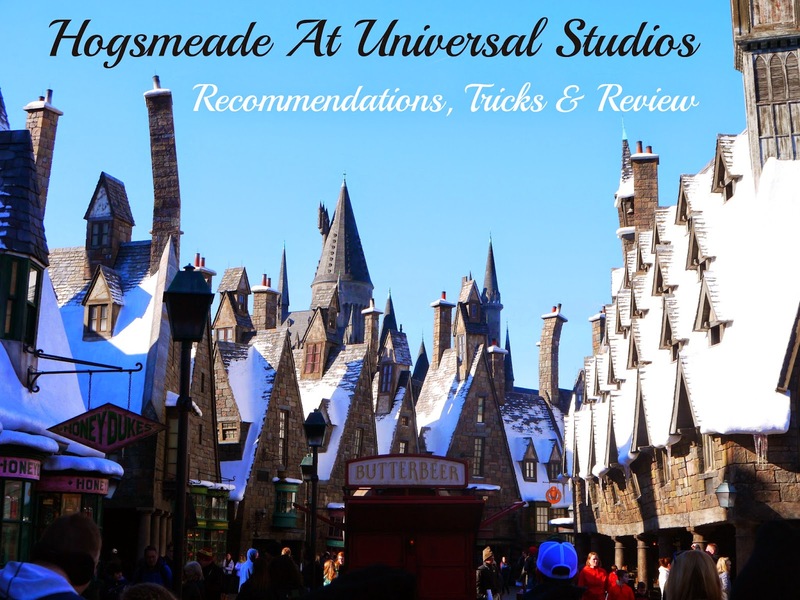 On our second day at Universal Studios we visited the "Hogsmeade park". I have to say again, details, craftsmanship and overall WOW factor is everywhere. This place is truly breath taking and magical because you are stepping into the movie and book pages. A large portion of this Park involves the Interactive Wand activities. These wands cost $50, so plan ahead. If you are traveling with younger children, these activities are pretty much it in this region of the park. The rides require children to be around 48 inches in height, my five year old was not tall enough. Mind you he is in the 94th percentile in height. The Hogwarts Express requires a two-day, same-day pass which average around $200 a person, a ticket! After walking around, casting spells, visiting the book that bites we decided to check out The Three Broomsticks. Hahaha, I felt so disappointed with this version Of Harry Potter Park at this point. The amount of money spent to come here, purchase tickets and see the prices in this park- We walked in and walked right back OUT! I enjoyed Diagon Alley Leaky Cauldron menu & pricing more! The sight of Hogwarts is AMAZING. I will not deny that. I thought they would reenact sorting you into houses, touring through the great hall and common areas. NOPE, Hogwarts has one large 3-D like ride. The Sorting hat is off to the side and you can "tour" the castle quickly in the dark only seeing some moving frames if you do not ride the ride. What we liked: Sights were breath taking. The hidden authentic brooms, Biting monster book, attention to details made you feel like you walking into the books and movies. It was a must see if you are a Harry Potter enthusiast! What could be improved: There is no where to sit, only two shops to visit all the other store fronts are "fake". Not to much little kids can do as far as activities or rides. Hagrid's house is hidden. Hogwarts could use a little reorganization and add more "museum touches". My advice would be to place the authentic brooms, books, game memorabilia into the castle for people to see on the Castle Tours!